What a really fun find! 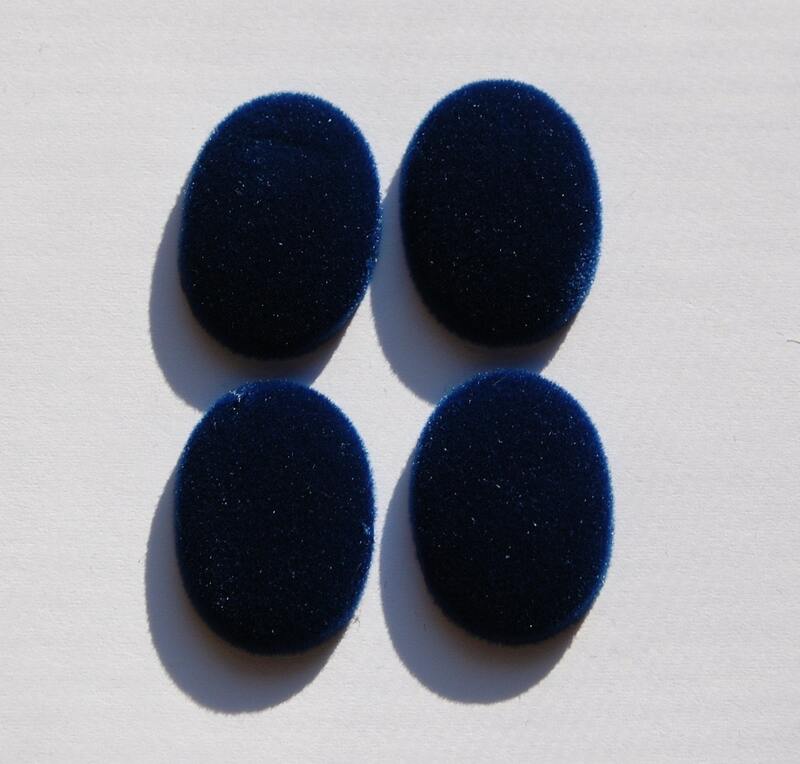 These are vintage blue velvet or velour covered cabochons. They feel very soft. The backing is plastic. What an elegant base for your creations. 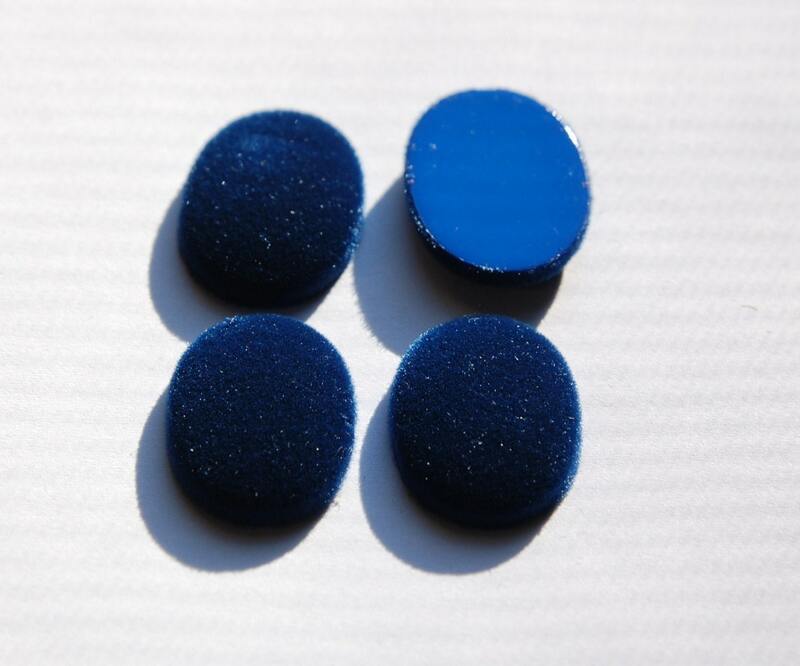 These measure 30mm x 22mm. You will receive 4 of these. I will enjoy creating with these cuties! GOrgeous - Will be fun to work with. Always appreciate Beth's super fast shipping and impressive inventory and store. Thank you parcel received. All wonderful!